So, I’ve been flying under the radar a lot lately. We have a couple of huge installs coming up at the end of this month and our studio is starting to look like it belongs on an episode of Hoarders. Not kidding. There has been a lot of work and no play for our design crew lately. On the bright side, Marcali had some press in the last month. 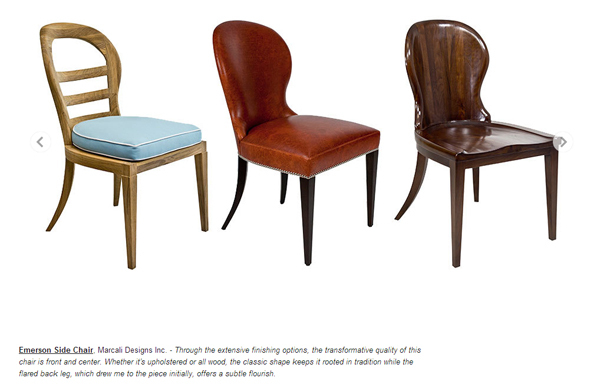 First, we were singled out by noted Chicago interior designer Frank Ponterio in his list celebrating the beauty of American craftsmanship on Dering Hall for not one, but two of our pieces. 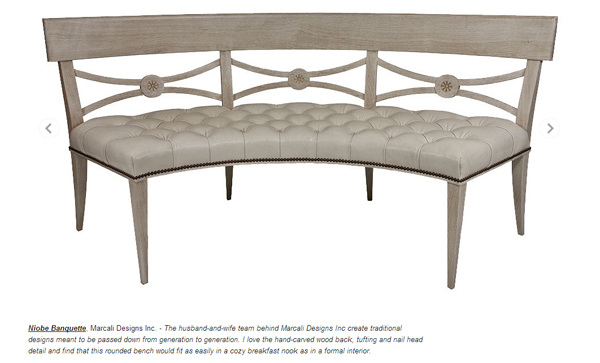 The feature also went out in an email blast to all of Dering Hall’s subscribers, which is a huge deal! You can see the feature here or read more about it on my work blog here. I didn’t think the month was going to get any better but then it did. A package from Germany arrived one day bearing the Condé Naste logo. 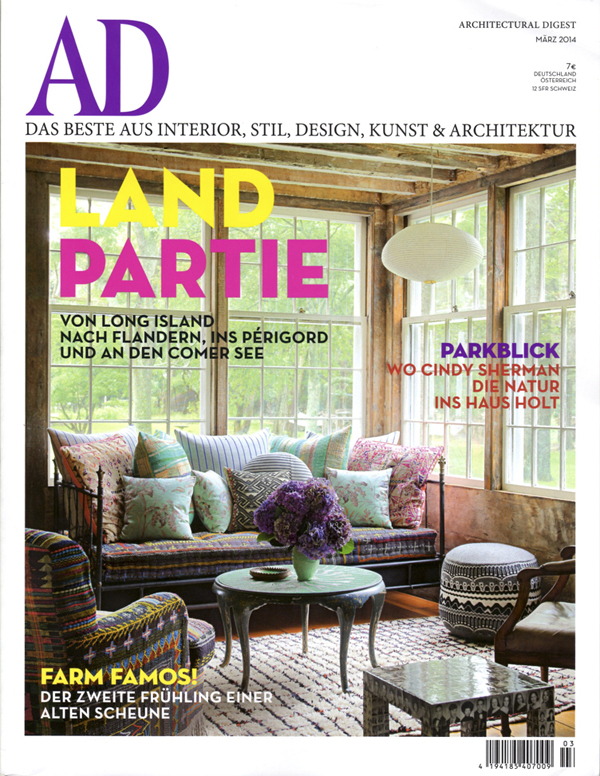 Inside was a copy of the March issue of German Architectural Digest with one of the interior pages marked. 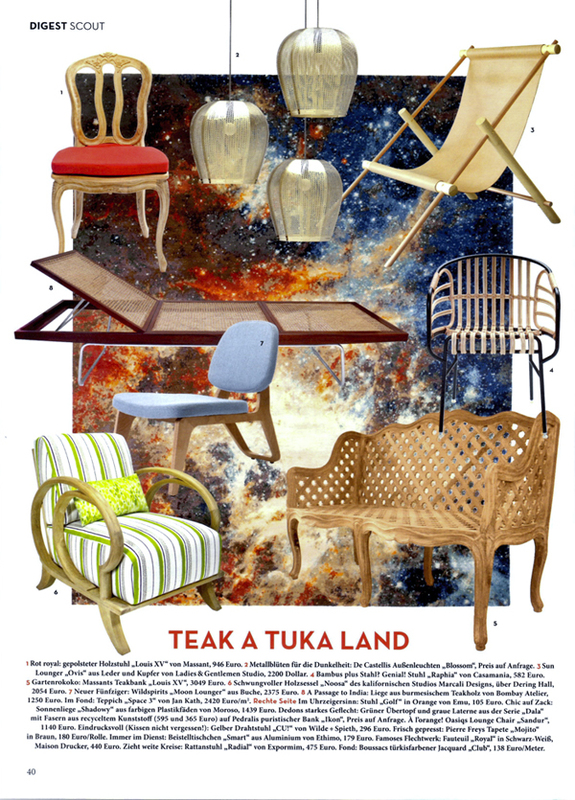 David opened it up to find our Noosa Teak chair included in a feature of teak products! I literally screamed when he showed it to me! There is our Noosa Lounge in the bottom left corner! Anyway, I hope you’re all having a fabulous Friday and an even better weekend. 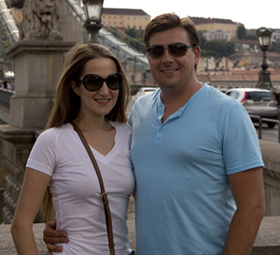 I cannot tell you how much I am looking forward to this little two day break from work! I’ll be back with more soon!